I remember back in the day when I just had Tammy. As a first time parent, I was so active in child development discussions in an online community that time because I've heard a lot of shocking stories about certain delays of some children in their development and worst, none at all. I've encountered parents who shared about their kids whose milestones were detected at an early age while there are some who were late. Believe me, I can almost feel the dilemma of those parents who shared about their kids who does not show any signs of development at all. Luckily, I was spared from an extreme worry since Tammy showed early signs of her development. Every parent should be advanced when it comes to detecting the signs of their child's development so that certain remedies can be done if there is something wrong with their kids. If there's one thing I learned about it — I guess it would be about the importance of parents being aware on their child's development and whereabouts. 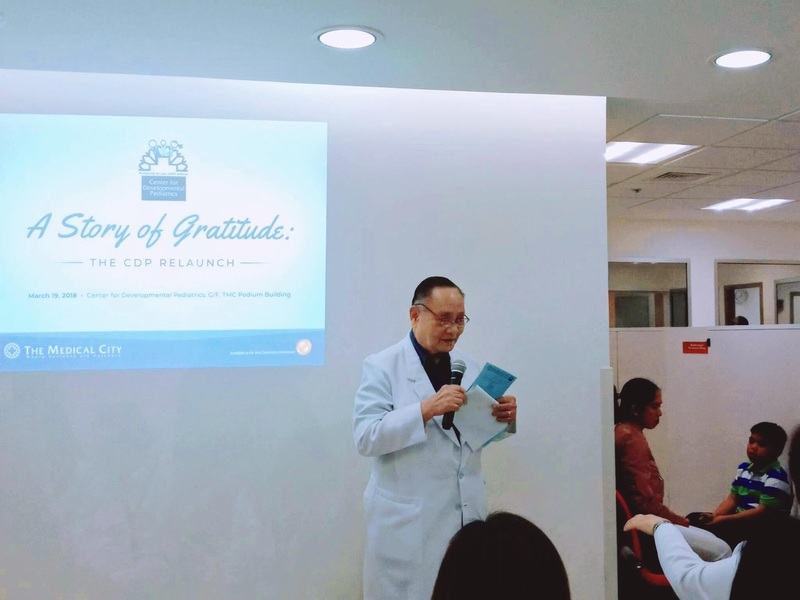 Last March 19, a fellow mom, mommy Cielo had the chance to share her testimony about her child's development during the grand relaunch of The Medical City's Center for Developmental Pediatrics. To kick off the occasion, a ribbon cutting ceremony was held. It was followed by the blessing of the new and bigger CDP facility. The guests were also oriented on the Center for Developmental Pediatrics' history and milestones. 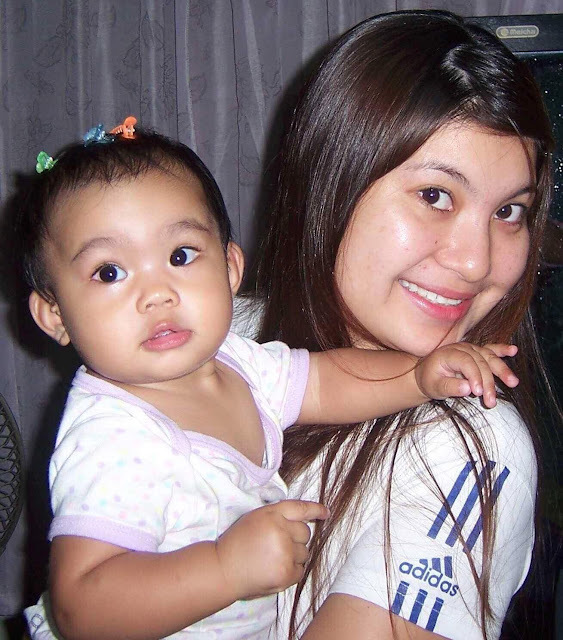 First-time mom Cielo had a feeling that her baby had a developmental delay.... She knew the developmental milestones such as at nine months, a baby must be able to make a lot of different sounds like "mama" and must understand "no" but her son does not make any sound at all at 11 months. Some sort of delays may be early signs of attention and learning issues and so when she relayed her concern to her child's pediatrician, she was advised to bring her child to a center that provides developmental screening to make sure that her child will get all the help and guidance he needs while growing up. A friend referred her to The Medical City Center for Developmental Pediatrics (TMC-CDP). The center is the first in the Philippines to offer routine developmental screening and monitoring for children 0 to 8 years old. CDP offers routine screening to identify children at risk for developmental and behavioral problems using standardized tools. Parents of children without any known developmental concerns may still bring their children to the center for routine screening. Early detection is the key to helping children develop their potential. As a parent, while it can be too “heartbreaking” to hear a not so good evaluation results, it is still best to know an early identification of developmental disorders since it is beneficial to the well-being of children and their families. Developmental Surveillance is a flexible, longitudinal, continuous and cumulative process where knowledgeable health care professional identify children who may have developmental problems. Surveillance can be useful in determining appropriate referrals; providing patient education and family centered care in line with healthy development, and monitoring the effects of developmental health promotion. Cielo said the CDP is like a one-stop-shop for her child's developmental needs. Cielo said moms or parents like her who would want to have their children screened for any developmental problems should go to the CDP. You may click here for more photos of the relaunch. The Medical City Center for Developmental Pediatrics (TMC-CDP) offers Developmental Screening and Surveillance. 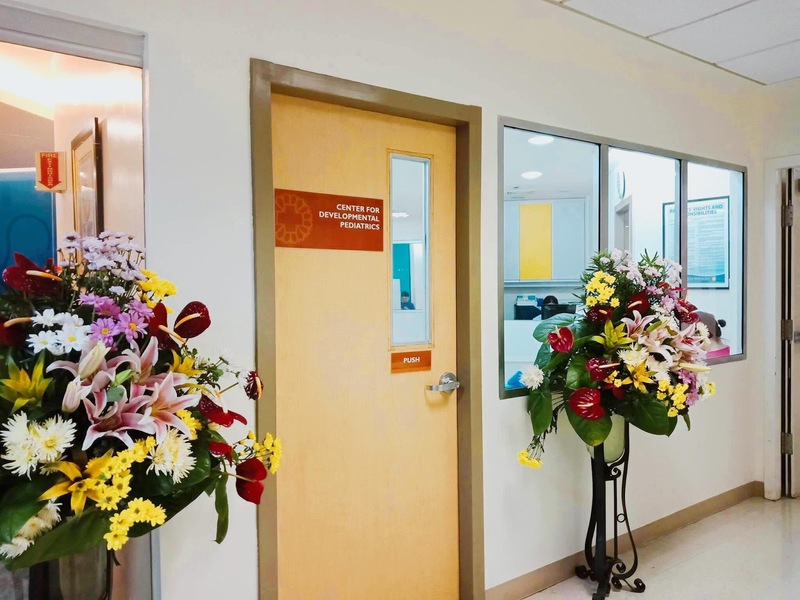 Aside from it, the center also offer other services which includes: Comprehensive Evaluation and Diagnosis, Multidisciplinary Team Conference, Neuropsychological Evaluation, Therapy Services, Feeding Clinic, and Family Education and Support Service. 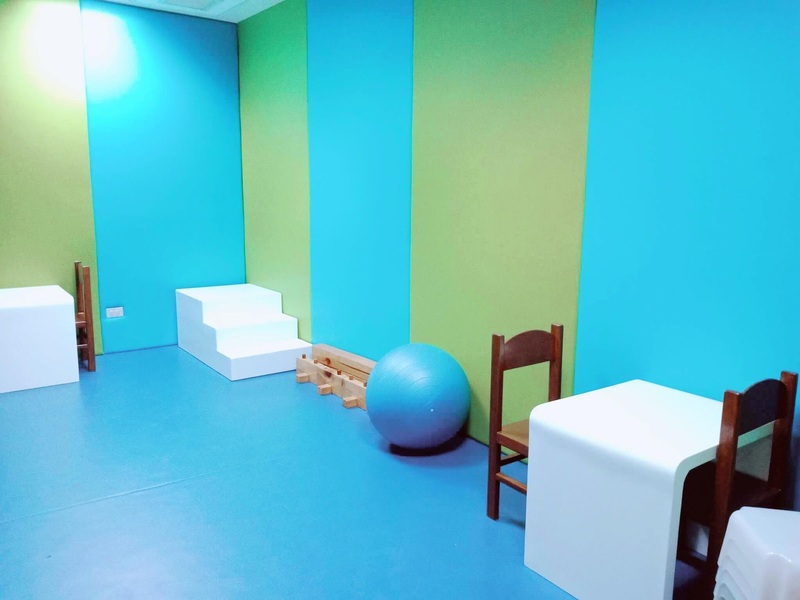 The CDP's therapy services are designed for children who require services such as Occupational, speech, and Physical Therapy. It is staffed by the following health care experts - General Pediatricians, Developmental Pediatricians, Pediatric Gastroenterologists, Nutrition Consultants, Nutritionists, and allied medical professionals such as physical therapists, occupational therapists and speech pathologists. Developmental Pediatricians lead this team since they have the expertise in the diagnosis and management of various developmental and behavioral conditions including Autism, language disorders, Attention deficit hyperactivity disorder (ADHD), and other learning-related disorders. The center's specialists and allied medical professional provide a complete evaluation of children with developmental or behavioral conditions which are done by a multi-disciplinary team of specialists. 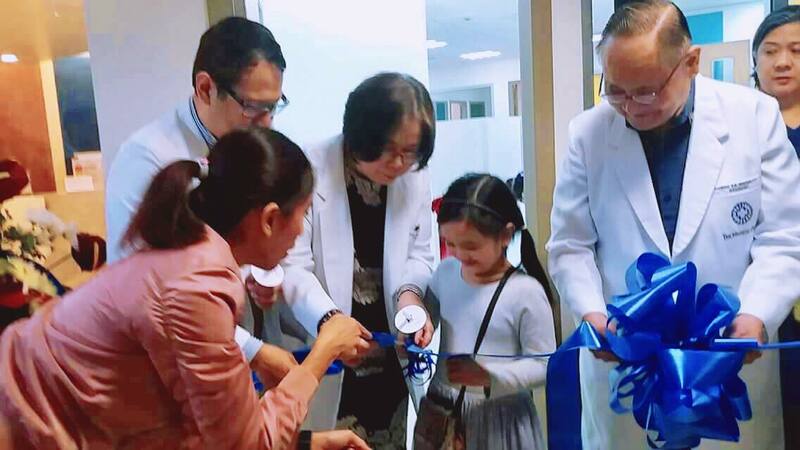 Other specialists like child neurologists, geneticists, adolescent pediatricians, child and adolescent psychiatrists, physiatrists, Otolaryngologists, Opthalmologists, and Orthopedic surgeons are also affiliated with the CDP. Recognizing that parents play an important role in children's learning and development, the CDP also offers Language Stimulation Class, Behavior Management Class, Basic Feeding Principles and Pediatric Caregiver Class recommended for both parents and caregivers.